With a timeless design, the Huawei W1 Classic smartwatch integrates health and fitness data, voice interaction and call and message notifications into one innovative smartwatch. Android and iPhone compatible, it features a stainless steel case with a stainless steel and link strap, letting you change your look whenever you like. 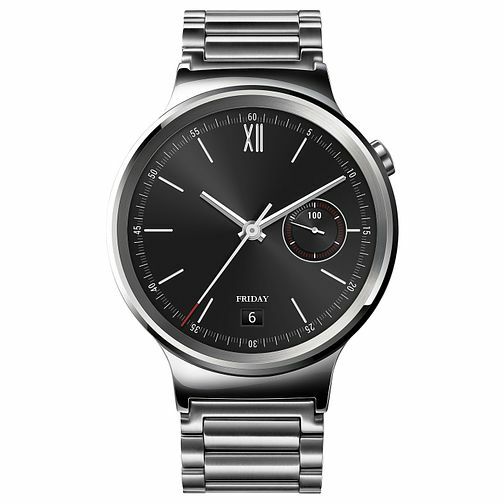 Huawei W1 Interchangeable Strap Smartwatch is rated 4.7 out of 5 by 3. Rated 5 out of 5 by Anonymous from Lovely item, box damages Lovely item, such a shame it was badly packaged when sent to me as the lovely box it comes in was completely bashed up. Such an expensive item & the effect is ruined (I'm giving this as a gift).